The best Commodity broker UK? Below you can find our favorite CFD brokers for commodities. Commodity trading involves you investing in products such as energy, food, metals, etc. It’s an ancient form of trading that has existed for as long as the commodities have. Back in the days, you had to store the commodities you bought but now it’s different. Today you use commodity brokers to trade and they are all available online which makes it very practical. Our preferred way of trading commodities are as CFDs and we have listed all the best CFD brokers UK for commodities in this article. They are all regulated and 100% safe to use. Today almost all commodity trading is done online through brokers and depending on what type of investment you want to place there are different brokers to choose from. In most cases, commodity trading is divided into four popular investment types that you have to understand before you find yourself a commodity broker. The investment types are CFDs, futures, ETFs, and stocks. Below we explain the different commodity investments in detail as well as offer tips on how to find the best commodity brokers. Your capital will be at risk when using any of the recommended brokers on this page. Never invest money you can’t afford to lose. Using high leverage can result in big losses. Between 65-89% of retail investors lose money when trading contracts for difference (CFD). Bullmarketz may be compensated by some of the brokers listed on our website. Plus500 review – is the epitome of a reliable and stable broker. The company is based in Israel and they are listed on the London Exchange which is something very unique among brokers. Plus500 also offers the most popular commodities in the world as CFDs. For example, you can invest in gold, silver, gas, crude oil, and much more. On top of that, Plus500 offers CFDs for stocks and other assets and is just a great all-around broker. Markets.com review – has been on all our top lists since we got started in the business, and for good reason. Their selection of assets is vast and covers the majority of all markets, including commodities. With an industry-leading demo account, friendly and efficient customer service, and an easy-to-use platform it is obvious why Markets.com is the favorite broker of thousands of traders from all over the world. Trade.com review – provides a clean and simple interface with tools that can be used by beginners and advanced traders alike. Their selection of assets can compare to Markets.com and we really enjoy trading on their platform. Natural gas, coffee, rice, platinum, and soybeans are just a few of the many commodities they currently offer as CFDs. In addition, Trade.com has thousands of underlying assets in other markets. 24Option review – was one of the most recognizable names in the industry for a long time. They recently decided to re-brand as a CFD broker and forex broker, and they are already excelling at the task. With years of experience from the trading world, it comes as no surprise that 24Option’s product is industry leading. You can trade anything from commodity to forex, cryptocurrencies, and stocks using the MetaTrader 4 platform with 24Option. eToro review – has an impressive selection that covers several asset classes, among them stocks, cryptocurrencies, ETFs, and, of course, commodities. eToro also has unique features that lets you copy other traders and benefit from their analytic work to get the best possible results from your commodity trading. AvaTrade review – was one of the first brokers that we got really impressed by and they have kept driving the market forward for years. Today, they have 8 different asset classes on offer with commodities being one of them, meaning you can trade gold, coffee, crude oil, and other products. IG Markets review – is one of the top brokers in the industry and they have been for several years and they also happen to be one few brokers that can offer binary options on the American market through a platform called Nadex. However, an important part of their impressive selection of CFDs offered to the European market is commodities. What is a Commodity Broker? A commodity broker is a broker who is offering a CFD contract on commodities. CFD trading is a speculative form of trading that has exploded in popularity over the past few years. It was originally created by stockbrokers who were looking for alternative ways to invest in stocks in order to give themselves a tax break. When you buy CFDs, you invest in the market price and your goal is to predict whether the price of a commodity will increase or decrease. Back in the days, commodity trading was a highly exclusive form of investment since one had to buy the actual commodity in large quantities to make any profit. This required a lot of money to fund the investment, great knowledge of the commodity so that you could handle it correctly as well as a lot of space to store it in. As you can imagine, only a small group of people had access to this and commodity trading wasn’t available to the everyday person. Today the market looks different, and you can choose to speculate on commodity prices using several more practical and efficient investment methods. For the longest time, our favorite way of trading commodities has been by using a contract for difference (CFD). CFD is a speculative form of investing that can be applied to any market and underlying asset. It’s a very versatile investment method that is easy to learn and highly profitable for the people who master it. The idea behind CFD trading is that you invest your money based on whether the price of a commodity will increase or decrease. In other words, your job is to predict in which way a price will move and then bet your money on that. CFD trading allows for leverage to increase possibilities and the best part is that you can be trading commodities and stocks at the same time, on the same platform in order to benefit from the most optimal investment options at any given time. Also, CFDs are perfectly suited for both long and short trading. To start trading commodities as CFD, you need to set up a trading account with one of the best CFD brokers uk. We have dedicated this website to recommending the best brokers in the world, and the following three belong to the absolute top class of CFD commodity brokers. eToro is a social network platform that you can use to invest in six different commodities (copper, gold, natural gas, crude oil, platinum, and silver) as well as a large selection of other assets. Plus500 is a renowned broker based in Tel Aviv and London. Their selection of assets includes 17 commodities such as cotton, coffee, and gold as well as over 2,000 other securities. Markets.com offers thousands of underlying assets, including 15 of the world’s most popular commodities. Their platform is also one of the best in the world. Today, the most common way of trading commodities is by using futures contracts. Futures are contracts that let you invest in commodities without buying the commodity at the time of the trade. Instead, you make a promise to buy a certain amount of commodities for a certain price in the future, and in most cases, you sell the commodities before you get them. Generally, there are two ways one can invest in futures. The first is hedging where one buys commodities to protect an investment or secure a price. This is mostly done by companies that buy large quantities of a commodity that they use in order to guarantee a specific price. A good example is airlines who often buy jet fuel in enormous quantities to avoid having to pay more for it in the future. The second way is speculative futures trading, which is what you will be doing. This is done with the sole purpose of making a profit from the difference in buy and sell price. The difference between hedging and speculative trading is that you sell your contracts before they run out when you speculate. One of the main advantages of futures trading is that you can easily trade long and short. How do you trade futures? In the past, futures were traded on futures exchanges, but today only a few of the original exchanges are left since most of them have been bought by the leading stock exchanges in the world. Because of this most futures are traded on stock exchanges these days. Exchange traded funds (ETFs) are securities that trade just like stocks on stock exchanges which means they’re quite easy to learn how to use. Normally, an ETF follows the price of a commodity or a group of commodities but instead of buying a futures contract, you buy a share that represents the price of the underlying commodity. Due to the fact that ETFs are traded as stocks, they’re great for day trading and a good way of diversifying your portfolio. Also, ETFs can be traded using leverage and margin and can quite easily be used for short trades. Lately, some brokers have decided to take ETF trading on commodities to the next level by offering them as CFDs, meaning you can speculate on ETFs even easier than before. 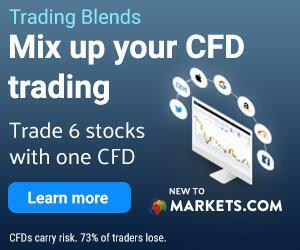 Plus500 is one of the few regulated CFD brokers that offer ETFs as a part of their selection today and at the time of writing they have roughly 50 ETFs on offer. IQ Option is also working on a brand new ETF product and according to their website they will start offering them “soon,” however, no exact date has been set. Exchange-traded notes (ETNs) are similar to ETFs but much less popular. ETNs are also traded like stocks and just like ETFs they mimic the fluctuation of underlying assets and they’re traded on major exchanges such as Nasdaq and the NYSE. One downside with ETNs is that they are affected by the credit score of the issuer, meaning their prices are affected by more than just the underlying asset. commodity. Instead, you invest in companies that handle commodities or companies that operate within an industry. Since the stock price will be affected by the price of the commodity, you are indirectly trading commodities using stocks. Let us use an example to describe what we mean. If you’re interested in investing in crude oil, but you’re not sure of how futures work, you can invest in a company that drills for and sells oil, for example, BP or Shell. When the price of crude oil fluctuates, the stock prices will be affected too. As you probably already know, stocks are sold on stock exchanges around the world but stocks can also be traded as CFDs. All of our recommended CFD brokers offer stock trading, although the selection varies quite drastically. A great benefit of buying stocks as CFDs is that you can invest as much money as you feel comfortable with and you’re not forced to pay full price for any stock. Most of the brokers listed here offer crypto, spread betting, and the best forex trading apps as well. First off, let’s clarify what commodities are and why people trade them. A commodity is a product that is used by humans in everyday life. Typically, it’s something that we can buy ourselves at the grocery store or the gas station such as corn or oil but it can also be a precious metal such as gold. Generally speaking, a commodity has the power to influence the way you live and spend your money and it’s an integral part of our society. Trading commodities are something that has been done since the beginning of mankind. There are hundreds of tradable commodities that one can invest in and most people divide those commodities into the following categories. Energy commodities are products used to create energy to run our vehicles, factories, and even homes. Crude Brent crude, gasoline, and natural gas are typical examples of energy commodities. Metal is a category that includes every available metal there is in the world, and it’s one of the more popular types of commodities to trade. Gold and silver belong to the most traded commodities. Agriculture includes the most influential crops and produces that is grown around the world. For example, you can trade corn, soybeans, coffee, sugar, and cotton. Livestock and meat are exactly what it sounds like, meat products. Live cattle, pork bellies, and hogs are some of the most traded livestock commodities on the market. As mentioned, there are hundreds if not thousands of commodities that one can trade, and the above-mentioned are only a few examples of popular commodities. To learn more about what products you can invest in, we suggest you check out the 10 most traded commodities or our general introduction to commodities. However, if you feel ready to learn more about how one can actually trade commodities, we suggest you continue reading. There are three simple golden rules to remember when looking for any kind of broker, safety, assets, and platforms. If a broker lives up to those three requirements you will most likely have a good experience. Let us explain further. Safety – is the most important aspect to consider when trading commodities or other assets. And by safety, we are referring to you, your personal information, and your money. The easiest way to make sure that you’re safe when you invest is to always use a regulated broker with a license to offer the assets you want to trade with. All the brokers we recommend are regulated with a license from some of the toughest agencies in the world. They also have a great reputation among users and other companies in the industry. We would never recommend a broker that wasn’t safe. Assets – are the second most important aspect and it is absolutely essential to consider. You have to find a broker that offers the assets you want to invest in since not all brokers offer all assets, but most CFD brokers offer a mix of many assets. Some brokers focus on cryptocurrencies, while others provide mostly stocks, and some offer commodities. We have written detailed reviews about all of the brokers we recommend, and the reviews contain all the information you need about available assets, services, and products. The platform – is the third factor and it is very important although not essential. The thing is that all brokers offer different platforms and your goal is to find the one you feel the most comfortable with. A good rule of thumb is that brokers either develop their own platforms or use big platforms such as the MetaTrader 4 or the MetaTrader 5. This decision is completely personal and as long as the broker is safe to use, you can decide if you like the platform or not. Futures are securities that can be traded on most of the world’s exchanges. Futures are sometimes referred to as a forward and it’s a contract that you sign with a broker. The contract contains information about a certain amount of commodities that you agree to buy at a set time in the future – hence the name. Although, as an investor, you will most likely close the contract before the end date to profit from the price changes and avoid having to accept the commodities you agreed on buying. As a private investor, you will have to find a broker that offers futures and set up a brokerage account. Many of the world’s best stockbrokers offer futures on commodities and many other assets. Many companies use futures to avoid fluctuating markets. A good example would be airlines which buy large amounts of fuel as futures to secure the market price and avoid having to purchase the fuel for higher prices in the future. This type of futures trading is called hedging. ETF is short for exchange-traded funds and it’s an alternative way of buying commodities without having to buy futures. An ETF mirrors the price of an underlying asset, in this case, a commodity or a group of commodities called an index. It is easy to start investing in ETFs since they trade just like stocks and are available via most traditional stockbrokers. You can often find ETFs as part of a CFD broker’s selection of assets. However, not all commodities have a related ETF which makes this somewhat limited as an option to trade commodities. Here is another article on the best ways to invest in commodities. You might want to give it a read if you are serious about investing in commodities. What makes commodities different from many other securities is that they can be traded using so many different methods, and we hope you have a better understanding of your options. Also, UK Traders have a ton of brokers to choose between, offering modern trading platforms UK and the best trading apps. As mentioned, we prefer trading commodities as CFDs due to the fact that it is so practical and easy to get started with, although, we suggest you educate yourself on futures trading as well. Also, don’t forget that commodity trading is associated with high risk and that you need a great understanding of the market before you start investing. To learn more about investment strategies, we recommend you check out our educational material as well as our commodity and CFD trading guides.